As older generations retire, the banking industry provides opportunities for lucrative and impactful careers for today’s young professionals. Ivo Tjan ’99, founder and CEO of Irvine-based CommerceWest Bank, which primarily serves small- to medium-sized enterprises for their commercial banking needs, looks at why students and alumni should consider careers in the field, how to get started and his personal entrepreneurship story. “I became a CEO when I was 27 years old,” says Ivo Tjan, who founded CommerceWest Bank two years after completing his undergraduate degree in marketing from Cal State Fullerton. In a sector dominated by older professionals – many of them in their 60s – the young entrepreneur found a niche focusing on commercial banking services for Southern California companies with revenues between $5 million and $100 million. Tjan (pronounced tee-jan), who entered the banking industry at age 18, already had held management roles at Eldorado Bank, Home Savings of America and Great Western Bank, which, supplemented with his business coursework at CSUF, provided a focus and foundation in this field. Nearly 19 years later, Tjan’s brainchild employs dozens of staff members, including a number of CSUF and Mihaylo College alumni, at corporate headquarters in Irvine, a second location in North County San Diego, and as business bankers serving clients throughout the Golden State. The company has not only survived, but thrived, during some of the largest disruptions in modern financial history, including 9/11, the Great Recession, new regulatory environments and the continual introduction of new technologies. Tjan himself has been recognized as a successful entrepreneur, appearing in the Orange County Business Journal’s OC 500 list, recognizing the region’s most influential professionals, and Vivid Magazine’s annual top 10 Asian American Entrepreneurs list. 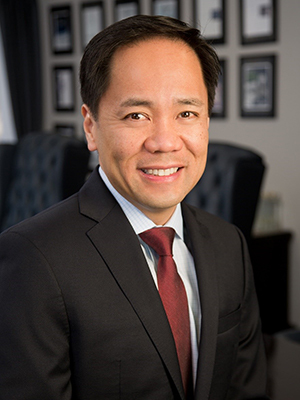 In addition to supporting a wide range of professional associations, children’s-focused nonprofits and educational organizations, Tjan has been active in his alma mater as a Mihaylo College Business Madness speaker and past member of the CSUF Philanthropic Board. Looking at today’s business environment, Tjan believes that while the barriers for entry may be lower, competition is intense, which makes specializing essential in banking and many other industries. “Being in the banking industry for 25 years, I can see that it is easier today to start a business because of technology,” he says. “In the old days, you would have to lease a space, put up inventory and market yourself. Today, a storefront can be put on the web and requires a fraction of the cost and people of the traditional model. While Tjan notes that many young professionals gravitate toward in-demand spaces in the new economy, such as high-tech startups or health care. But as baby boomers retire, there is a need for a new generation of talent in the banking field, which can provide surprisingly rewarding and engaging opportunities, including the ability to interact with influencers in many fields. Tjan considers banking the lifeblood of the economy, without which few personal or business pursuits would come to fruition. It is this centrality that assures him that, despite technological, economic and societal shifts, the sector will always provide opportunities. Even if you have other career objectives, Tjan encourages students to consider the applied benefits of seeing the inner workings of the financial system firsthand through roles in banking. A versatile and supportive network – including mentors – is an essential ingredient for success, particularly in such experience-focused sectors as banking. “Always try to surround yourself with the right people. When tough times come, you have to count the noses you have. You’ll notice your real friends are still there, and all the rest leave,” says Tjan. Looking back at his student days at Cal State Fullerton, Tjan notes that his professors were among his impactful mentors, acting as a bridge between his studies and the applied world of his jobs. “When I wanted to apply the real-world fundamentals to their teachings, they were always open to discussing and talking about it, which helped me accelerate my understanding,” he says. Above all, Tjan encourages young people to pursue as many opportunities and as much knowledge as possible, ensuring the best possibilities for a rewarding career. 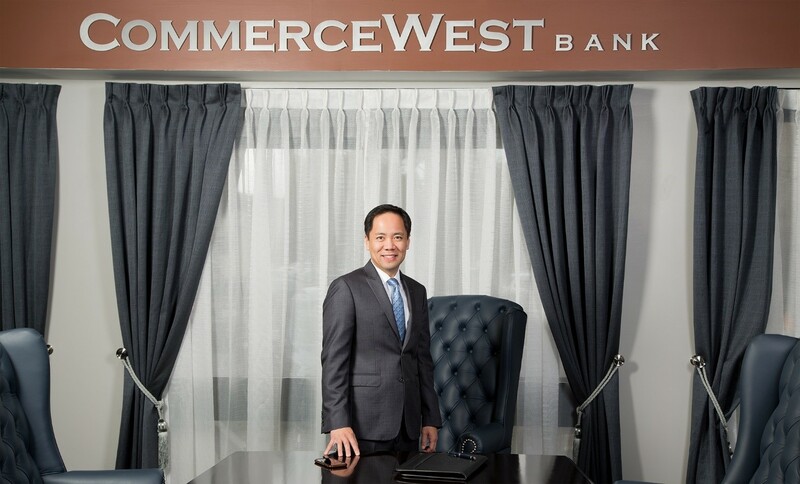 CommerceWest Bank is actively seeking college students and recent graduates as interns, who may gain applied financial industry experience coupled with professional connections. For more information, visit the CommerceWest careers page or reach out to their human resources team at 949-251-6959. For more on banking careers, including undergraduate and graduate programs offering preparation for roles in the field, visit Mihaylo College’s Department of Finance website. Read more articles about finance.